Click any image of this 1985 Chevrolet Camaro to engage HD Image Gallery. 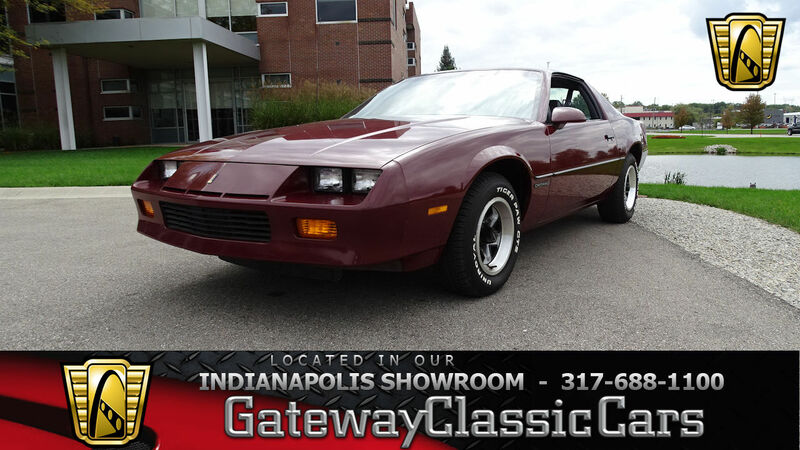 Gateway Classic Cars is pleased to offer this very clean, two-owner 1985 Chevrolet Camaro for sale in their Indianapolis showroom. This all-original car looks as great in person as it does in these photos. The Camaro has been always been a desirable car, and low-mileage examples like this one donâ€™t come along very often. Originally purchased at a Chevy dealer near Indianapolis, the Camaro was cared for by the first owner for 17 years! The current owner took the reins in 2002 and has properly cared for the car ever since. With fewer than 46,000 miles showing on the odometer, this Camaro is still a solid car, with a lot of life left to give. Powered by a 2.8L V6 mated to a 4-speed automatic, the powertrain is a smooth-running machine. Power steering and brakes, tilt and cruise, AM/FM cassette, factory air, and raised white letter tires round out the factory equipment. The A/C will need a re-charge to blow cold, but the car is good to go otherwise. 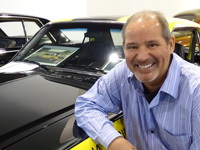 Be sure to visit our webpage at www.gatewayclassiccars.com to view 100+ HD pictures, as well as a short video of the Camaro in action. 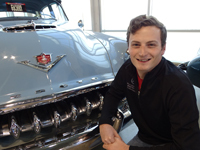 Better yet, stop by our Indianapolis showroom and see the car in person. Weâ€™re located at 4400 West 96th Street, Indianapolis, In. 46268. Call us directly at 317-688-1100, and weâ€™ll be happy to share additional information, or schedule an appointment for you to experience this amazing car.